It is not uncommon to be asked this question, particularly in light of more and more real estate getting sold on the prime Hawaii location over recent years, valued at around $5 million each. Media features would be quick to provide an answer: Hollywood celebrities, tech moguls, and the who’s who in Silicon Valley, from Emma Stone (with her multimillion Diamond Head Villa on Oahu) to Julia Roberts and her $30 million Kauai estate. But there’s more to the Big Island’s luxury buyer than famous personalities and the bosses of the world’s leading tech ventures. 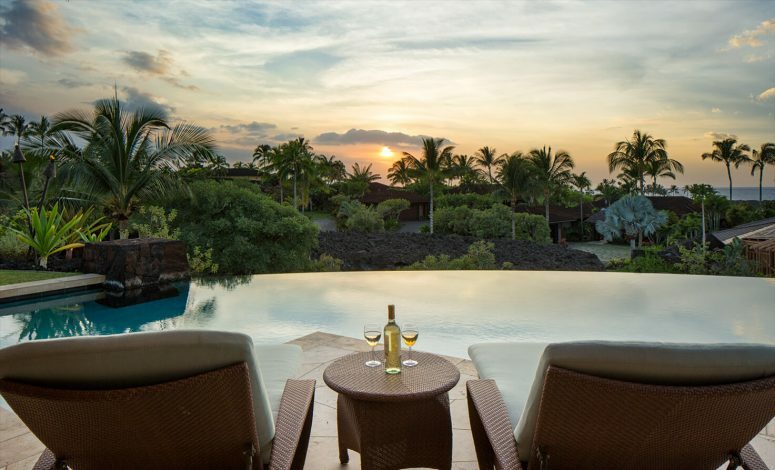 Big Island real estate continues to draw new residents year after year, and it is now home to more than 200,000 full-time residents, with an average daily visitor population approaching over 22,000 people. The Hawaii Information Service (MLS) conducted a survey from January 2011 to 2014 and found that the Big Island closed a total of 60 real estate transactions during the period, most of which occurred in the Kukio / Maniniowali / Kaupulehu areas. The buyers are broken down into the following: 47 percent from California, 22 percent from Western U.S. States, 15 percent from Eastern States, 10 percent from other countries, and 6 percent from Central State. Times are changing, and the proportion of international buyers has definitely increased amid the ultra-wealthy’s need for diversification of assets and eye for things that meet fair market value. The Chinese are leading in this thriving market, seeking not only to diversify their assets but also keep their money safe away from home and provide quality education as well as a good life overseas to their children. As it is, the Big Island continues attracting buyers who put a premium on family, peaceful living and recreation, aesthetics, and services. Luxury sellers understand this better with time, now deliberately offering their luxury homes through private networks, treating their carefully vetted guest list to themed open-house parties, and organizing exclusive tours in their part of the Big Island. Consequently, recent reports revealed that more than 9 out of 10 luxury buyers search for information before making that big purchase. Regardless if they’re Wall Street types, creatives, or Chinese mainlanders eyeing investments in Hawaii, they have high standards to meet: from bedroom count and unobstructed nature views to seamless “smart home” and security amenities. More than ever, these facts and figures on the luxury Hawaii consumer make topnotch real estate brokerage services more important than ever. Not only can the right broker for the job tailor his level of service to exceed seller and buyer expectations, but can also build the right mystique around an exclusive listing and stealthily market it to target high-net-worth individuals looking for their piece of paradise.